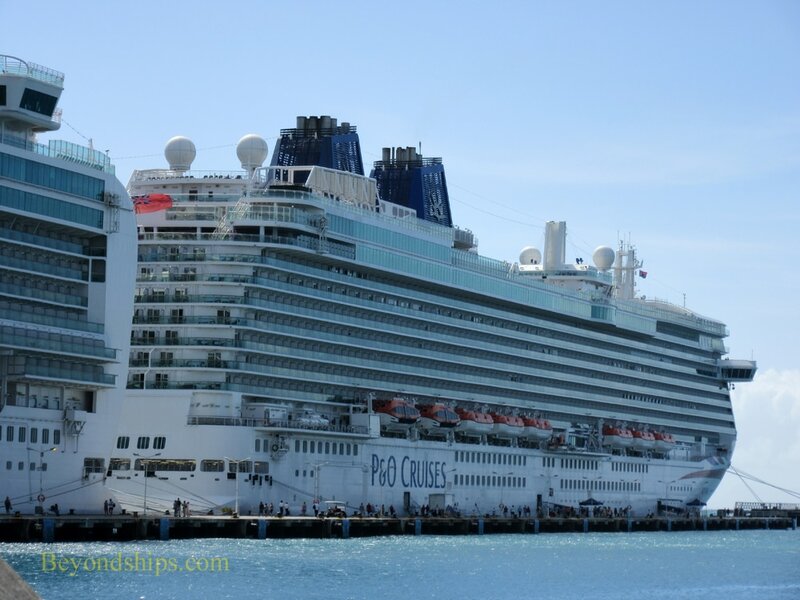 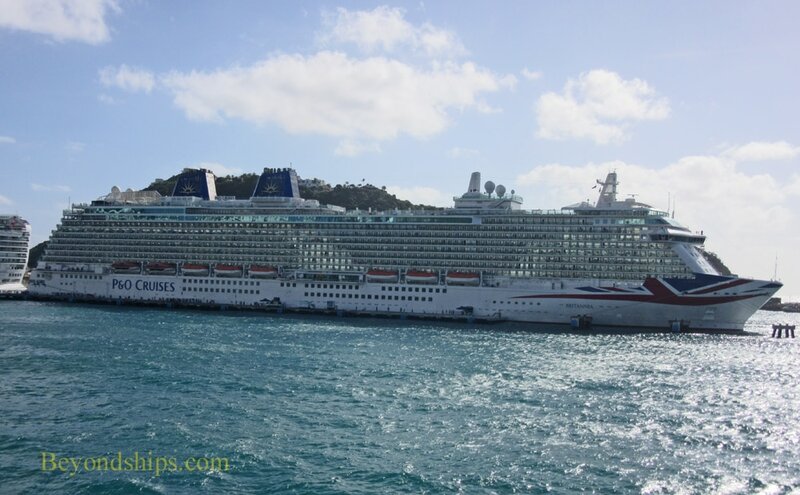 A sunny day and Britannia is at that most popular of Caribbean cruise destinations, St. Maarten. 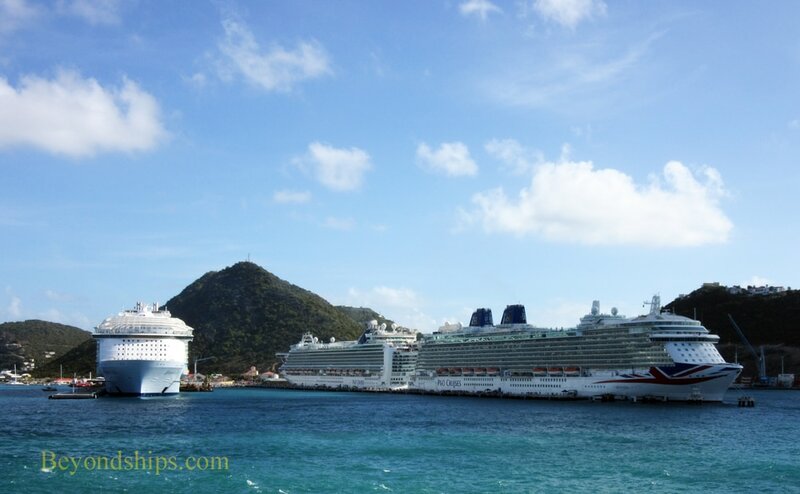 (See our profile of St. Maarten) She is at eastern-most of the two piers that comprise the A.C. Watley Cruise Port just outside of Phillipsburg, the capital of the Dutch side of the island and primary shopping area. 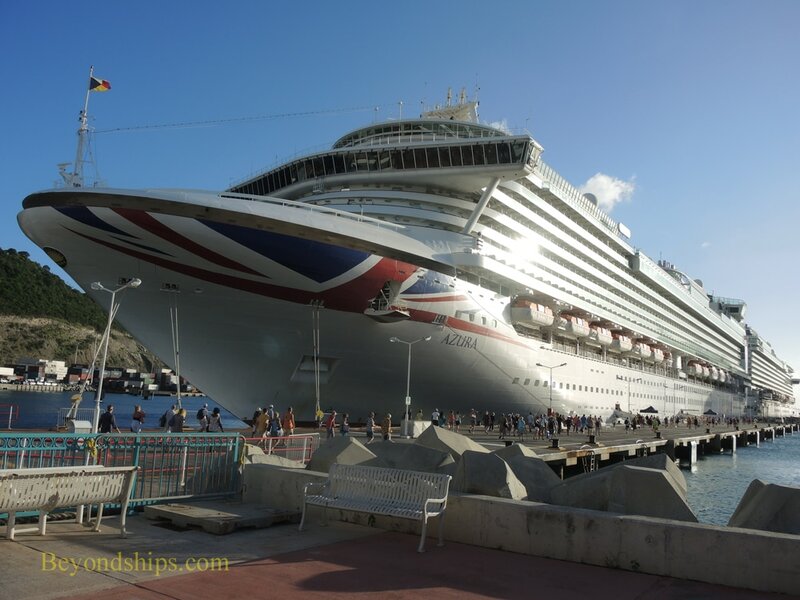 As is usually the case in St. Maarten, there are several other cruise ships in port including Oasis of the Seas and Britannia's fleetmate Azura. 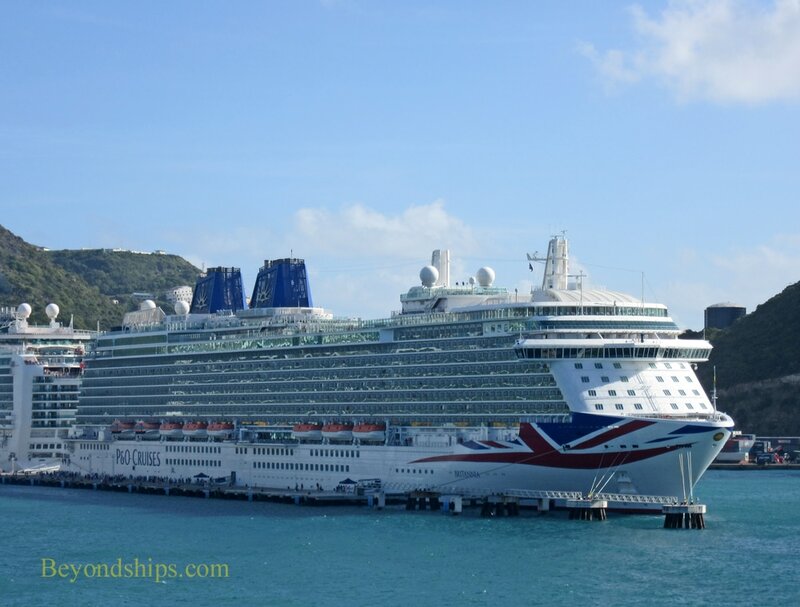 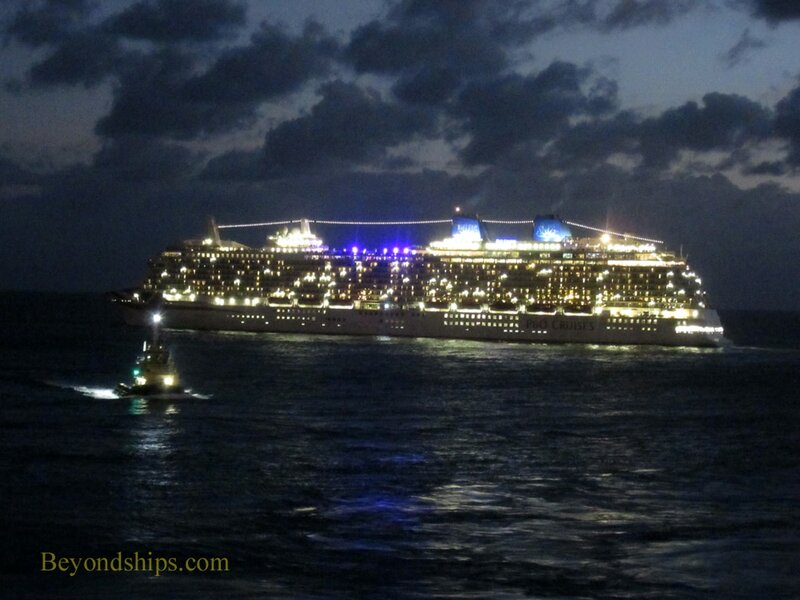 As darkness covers the island, Britannia pulls away from the pier and executes a 90 degree turn to port.